Imagination Library began with Dolly Parton’s desire that every child, regardless of income, would have access to books. Since its founding, the Dollywood Foundation has conducted and encouraged research on the Imagination Library program in an effort to assess communities’ reactions to the program and its impact on children literacy. The majority of this research has been implemented at the local community level, by program staff or local researchers, to provide formative and summative feed back to support local Dolly Parton’s Imagination Library (DPIL) implementations. The Dollywood Foundation initiated a review of over 20 years of research conducted on Imagination Library programs in the U.S. and internationally. The findings from the body of DPIL research indicate the program is extremely popular in the communities where its implemented and shows promise in promoting changes in home literacy environments, children’s attitudes toward reading, and early literacy skills. Participating family members were overwhelmingly positive about the program and its impact on their children when asked in questionnaires, interviews and focus groups. Community members, including Imagination Library partners and preschool and kindergarten teachers, also had positive views of the program and its impact on book ownership and literacy practices in homes. Parents read aloud more to their children and were more comfortable reading as a result of Dolly Parton’s Imagination Library. Parents reported their children owned more books as a result of participating in the program. Participating children were excited when their Imagination Library books arrived in the mail monthly, addressed specifically to the child. 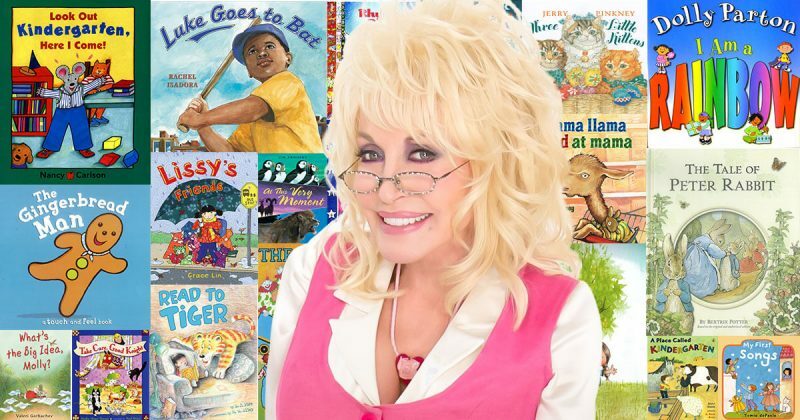 Some studies found Dolly Parton’s Imagination Library had promise with respect to developing children’s early literacy skills, as participants had more advanced skills than their classmates who did not participate in the program. The Dollywood Foundation is committed to supporting local Imagination Library programs and communities. One focus of our recent work has been identifying common outcomes for all Imagination Library programs. This will ensure we are all on the same page and provide the best program possible for children and families. 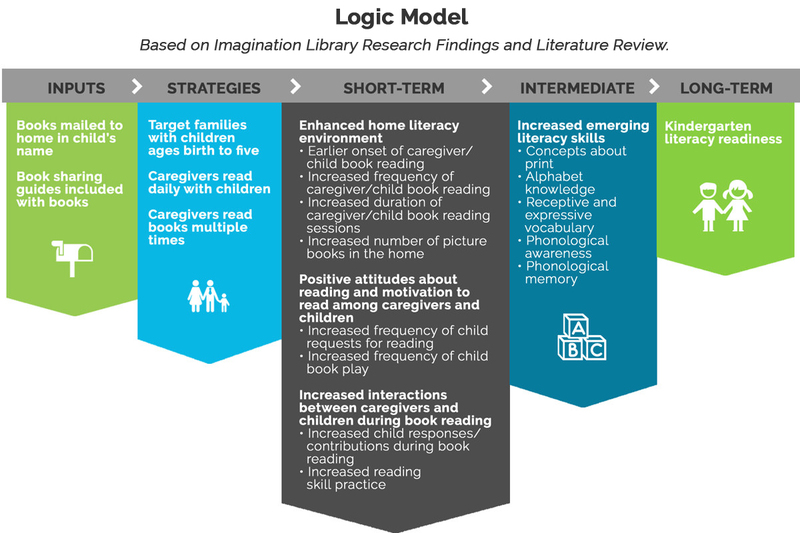 These research-based outcomes were identified through reviews of the literature and are considered to be building blocks for lifelong literacy, supported by the research, and aligned with the Imagination Library’s philosophy and goals. Navigate through the following documents and folders to view, print and download all available research documentation listed within the “Research Database” (above).